One of the things that I come by a lot, is the fact that there is a genuine misunderstanding of what is and is not permissible in order to have a potentially victorious exorcism. I am sure that most people may know that there are people throughout the world that offer up exorcisms, and while this may exist in some forms of Christianity, in the main sect of said religion, Roman Catholicism, having a Priest perform an exorcism without the express and clear permission from a Bishop is expressly forbidden. There are reasons for this, one of those reasons mainly being that in Europe, during the 1600’s at the height of the witchcraze, there were many, many zealots who were going around, creating their own types of exorcism rituals, and in far more cases than anyone cares to admit, the end result was not spiritual liberation, as would be expected or hoped for. The end result often turned out to be death. It is because of these crazy eccentric impromptu rituals, you can obviously see the dangers that were put into play by people who didn’t completely understand what exactly they were doing. It was around this time, around the year 416, that the Roman Catholic church made a controversial decision at the time: contrary to the teachings of Christ himself, who said that any true believer could exile a possessing spirit in His name, the Roman Catholic church put into effect what is today known as the “Ritual Romanum” of 1614. But before you could get to that point, it was also placed in effect that you could not engage in performing an exorcism unless you had permission from the church, specifically your superior, which in most cases was the Bishop of that province. As you could imagine, this caused quite an uproar, but the church felt that this was the right step, and would protect people already suffering from diabolical possession from additional woes, such as a zealot beating them to death in the name of believed purity. You can also find the details of the movie, including the above excerpt from above on IMDb.com. This burns my, in more ways than you could possibly know, and I am going to explain why. When I said that I was asked this frequently, I truly meant it. As a matter of fact, just earlier tonight immediately prior to the posting of this article, I was asked by someone the exact topic of this article: what happens if an exorcism is not authorized by the church? The answer is actually quite simple: it will fail, and the Priest-Exorcist who initiated and engages in the proceedings is putting everyone present, himself included, in mortal danger. To be clear, in this situation, the priests are conducting the exorcism “unofficially“, without the authority or permission of their Bishop, thus, without the authority of the Roman Catholic Church behind them. If that Priest-Exorcist went ahead with the ritual without authorization, it is supposed to be an entirely different ritual, called a “Deliverance“. The difference is as follows: when someone prays for deliverance, it is usually to free them from the influence of evil. This can work for cases of diabolical infestation (“demonic haunting”) or diabolical oppression, but not full blown diabolical possession. For a genuine case of diabolical possession, a deliverance will simply not work, and an official, formal exorcism is required. 3. Diabolical oppression. Symptoms vary from a very serious to a mild illness. There is no possession, loss of consciousness, or involuntary action and word. The Bible gives us many examples of oppression; one of them is Job. He was not possessed, but he lost his children, his goods, and his health. The bent woman and the deaf and dumb man who were cured by Jesus were not subject to total possession, but there was a demonic presence that caused physical discomfort. Saint Paul was most certainly not possessed by a demon, but he had a demonic oppression that caused an evil affliction: “And to keep me from being too elated by the abundance of revelations, a thorn was given me in the flesh, a messenger of Satan, to harass me” (2 Cor 12:7). There is no doubting the evil origin of the affliction. While possessions are still relatively rare today, we exorcists run into a great number of people who have been struck by the devil in their health, jobs, or relationships. We must make it clear that to diagnose and heal an oppression-related illness is not any easier than to diagnose and cure a person afflicted by full possession. The degree of gravity may be different, but the difficulty of the diagnosis and the amount of time involved in healing are the same. 5. Diabolic infestation. Infestations affect houses, things, or animals. This book will only mention the topic. I merely want to state that I will never use this term when I refer to persons. I will always talk about possession, oppression, and obsession. Exorcism is a bit different. The word “exorcism” means “casting out” in Greek. In the Roman Catholic and Episcopal Churches, an exorcism is a more formal act performed by a priest who has been especially commissioned by his or her bishop. Exorcism is performed on a person who is possessed, and that must be proven. Possession means the person has been totally taken over by Satan, that the person no longer has any will of his own. 84. What is the difference between an exorcism and a prayer of deliverance from a demonic oppression? An exorcism is a liturgical rite that is carried out on people who are possessed. Deliverance is a series of private prayers prayed over people who suffer from some type of demonic influence. The liturgical rite of exorcism is already predetermined; it requires authorization on the part of the bishop and should be carried out only when one is certain that a person is possessed by a demonic spirit. The prayer of deliverance can be long or it can last less than fifteen minutes. It can be done by a prayer group or by a priest; either way, it is a private prayer. In other words, it is not a liturgical prayer and it can also be improvised. This private prayer of deliverance can be done even if there is only a suspicion of a harmful demonic influence, to whatever degree and however weak it may be. In an exorcism, the priest prays that the possessed person be freed from the devil. In a deliverance prayer, we ask God to set a person free from some degree of demonic influence, including what some have referred to as “clinging spirits.” Often, when we experience a wound-either self-imposed due to sin or from some outside force or person-demonic spirits can “attach” to the wound and prevent healing. We can also experience unhealthy “soul ties” to people, through sexual contact and emotionally abusive relationships. Demonic spirits can “cling” to these as well and, thus, prevent healing, which is a primary aim of such spirits. Although our sin is forgiven, the demons want to prevent deep emotional and spiritual healing. Deliverance prayers can break the bonds of such spirits and bring about a greater freedom for us than if we did not have such prayers said. In an exorcism, the priest is certain that the person is possessed. Meanwhile, in a deliverance prayer, the priest is not sure as to the extent of the demonic oppression. 87. Why does a priest need permission from the bishop to proceed with an exorcism? Why did the Church impose this requirement? Because it came to see that this field requires a special prudence. Also, the issue is delicate enough that an imprudent act of a clergyman could especially harm the supposedly possessed person and cause harm to the prestige of the Church in general. For this reason, the Church opted to establish a special vigilance in this ministry. It is interesting to note that in the East this ministry was exercised as a charismatic activity, which did not need the expressed permission of the bishop. Further than that, if they went ahead with the exorcism, as we stated above, it is doomed to be unsuccessful. Also according to the Roman Catholic Church, the Priest-Exorcist is just a useless sack of skin. He is quite literally nothing. He is just the intermediary – the power of Christ is flowing through the Priest, and thus taking command of the evil spirits. He is merely a conduit. Without that grace of God and His son, Christ flowing through him, he would be unable to conduct his calling. The demonic are not bound to respect the authority of people, even the “holy ones“. But they are bound by cosmic, scriptural law to obey God, and by extension, His son, Christ. Regardless of what the scripture says, even Jesus told his disciples, and any true believer for that matter, that they could also cast out unclean spirits in His name. The instant that a Priest-Exorcist believes that he is the one with any type of authority, and that he is the one commanding the demonic entity – that the demonic are obeying the Priest – he is royally screwed. This is actually trained to prospective Priest-Exorcists in the Vatican when they are learning how to become an Exorcist. This is also mentioned in just about every single book I have read that was written by a man of the clergy who has actual, real life experience of dealing with the demonic. Once a Priest-Exorcist becomes cocky, and takes on the mentality that he is the one making the difference, and that he has subjected the demonic, He is engaging in 1) an act of defiance against the church, which is viewed as turning your back on faith, and is also known as an act of heresy, because for whatever reason, he felt that he should act on his own because he “knew better”, and 2) he is engaging in the sin of pride, thinking that he can do what others would not. The Devil initiated the first act of defiance, and it is well known that the sin of pride belongs exquisitely to the devil. And once the Priest-Exorcist is lured into this trap – and believe me, it is a trap – then technically, he is the puppet of the demonic. This trap is all based on pride, thus making the Priest-Exorcist impure, thus vulnerable to the wrath of the devil and his minions. That pride gives the devil dominion over the Priest-Exorcist, and that is when the rules change. 91. Is there a danger of pride for an exorcist? Yes, and this danger is very great. Exorcism is a ministry that, if practiced regularly, attracts a general admiration and the most profound gratitude from those who have been freed from possession. On the other hand, the continuous exercise of this ministry gives the exorcist a very specialized and deep knowledge of demons that cannot be learned in any book or in school. To compensate for this potential source of pride, God normally allows the exorcist to suffer the misunderstanding and ridicule of many of his brother priests. As such, the exorcist works all his life between being admired and thanked by some and bitterly despised and persecuted by others. This helps him grow in the virtue of humility. Whoever is named to the ministry of exorcist should not think that the persecution he suffers is merely the result of misunderstanding, i.e., that it will last only until others see the fruits of exorcism and the good sense with which he works. Urged on by Satan, who wants to discourage the exorcist at all costs, persecution will come, regardless of how dedicated or holy he is or how much common sense he has. Unfortunately, the persecution exorcists endure is not something that happens occasionally or only to some. Everyone who serves as an exorcist will experience it to one degree or another. God desires that this ministry always be done from the Cross. If a priest is not willing to bear this burden, he should not accept this ministry. I have read stories of Priest-Exorcists who have made that mistake, and almost paid with their lives for it. Their spirits were broken, and they advanced to the end of their days spiritually defeated. In fact, in the book Hostage to the Devil: The Possession & Exorcism of Five Contemporary Americans by Father Malachi Martin, ISBN 978-0-06065-337-8, he has an entire story which deals with a Priest-Exorcist who made that same exact fatal mistake, and literally paid with it by living the rest of his life tortured, both physically and spiritually. The story I am referring to in this book is The Virgin & The Girl Fixer. 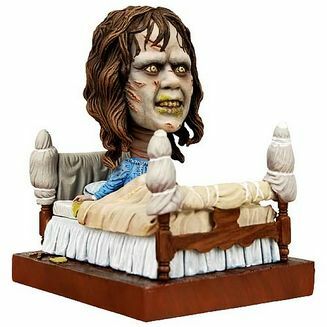 This was also prevalent in the true story that The Exorcist was based on, the tale of Robbie Mannheim (which can be found on this site) also includes at the beginning of the story a tale of a holy man treating the situation as something of a farce, and he was maimed for life because the demoniac, Robbie, got hold of a loose bedspring and used it to slice a line straight up his arm, from the wrist to the bottom of the bicep. While all of this can be found simply by doing a little bit of research, I figured that I would post this for all of those who don’t want to go through various sources to find this information, and just want to look in one place. The next time you get into a discussion involving this, or if you want to quickly reference this, simply come here. Feel free to ask questions below in the comments, and I will do everything in my power to answer them. I guess the obvious question or area to talk about is non-catholic priests, what about Episcopal and Lutheran priests, I believe they have a rite of exorcism but its not widely available. What about Baptists that are “ordained or educated”? Thoughts? Well, the major difference between them is that the Episcopal and Lutheran clergy do not believe they need to be granted permission to engage in these acts, mainly because Christ Himself taught that any true believer could cast out demons in His name. They stick with that, and that’s the end of it. *chuckle* Also, there is the fact that in my experience, they usually form “deliverance ministries“, which perform different types of rituals. Deliverance rituals are mainly for the cases involving diabolical oppression/infestation, and not full-blown diabolical possession, however, there are some within those ministries that perform their versions of exorcism. Ultimately, it all boils down to what the demoniac’s faith is. It would be wrong to state that one form of exorcism from one faith is superior to another. I have been studying both Islamic and Hebrew exorcisms, and they seem to work just as effectively. Even the Pagans and Wiccans have their own forms of these rituals, though they are not called the same thing, so to say that one version is better than another.Exorcism has existed long before any of the religions I mentioned above did, so in the end, I personally feel it has everything to do with the demoniac’s faith. Except for the Muslim Djinn. But that’s an entirely different topic/tangent. 92. Are there exorcisms outside of the Catholic Church? Yes. True and effective exorcisms are performed in the different Christian confessions. On the one hand, the Eastern Orthodox churches maintain apostolic succession, in which their bishops and priests are validly ordained and, as such, possess a true sacramental power. On the other hand, the various Protestant churches, though they do not possess a valid ministerial priesthood, profess faith in Christ and in the power of His name. With just such weapons, the devil can be expelled. God, in His wisdom, has not desired to place too many conditions on the most essential Christian practices for them to be valid. For example, baptism, by which one enters into the Christian faith, is normally considered valid in all Christian traditions (provided that the Trinitarian formula given by Jesus is followed: “I baptize you in the name of the Father, and of the Son, and of the Holy Spirit”). Likewise, Jesus knew the great suffering demonic possession would cause to those afflicted by it, and He did not want to establish strict conditions to be followed to make exorcisms effective. In Orthodox Christianity, exorcisms are performed in a manner very similar to those of the Roman Catholic ritual. In the Pentecostal churches of Protestantism, exorcisms normally consist of a group of faithful who get together to praise God, and, in the midst of these praises, order the demon again and again to leave the person in the name of Jesus. The faith of those present and the power of Jesus’ name are sufficient to cause the demons to leave. Aside from the Pentecostal tradition, the major “mainline” Protestant churches (e.g., Lutheran, Anglican, Presbyterian) no longer emphasize the reality of demonic possession and no longer practice exorcism. It seems strange that these followers of Christ do not know how to deal with cases of oppression from the Evil One. Once a tradition cuts itself off from centuries of Christian belief and practice, new methods for dealing with the devil cannot be invented from scratch. I have something dark and evil follow me all my life my grandma was a satan worshiper and I’ve seen this thing all my life i even seen it’s face outside my window it’s indescribable. It’s Eyes like fier i want to get rid of it .and going to church only make. Things in my life worse i need help please. It would make sense in having a catholic priest conduct a exorcism 1 because u need to except christ as well as the host well u shouldn’t be receiving any thing like this if u are not a catholic it’s basically like being a car without a moter it’s not going to work. 2 after excepting the right to baptized then confession u are now in the hands of Jesus and his father as well as all the saints. ….